If you look closely, you will find delightful colors and patterns of Japanese fabrics, many of them cut into strips and sewn together to create a harmonious path, of sorts, around the quilt top. 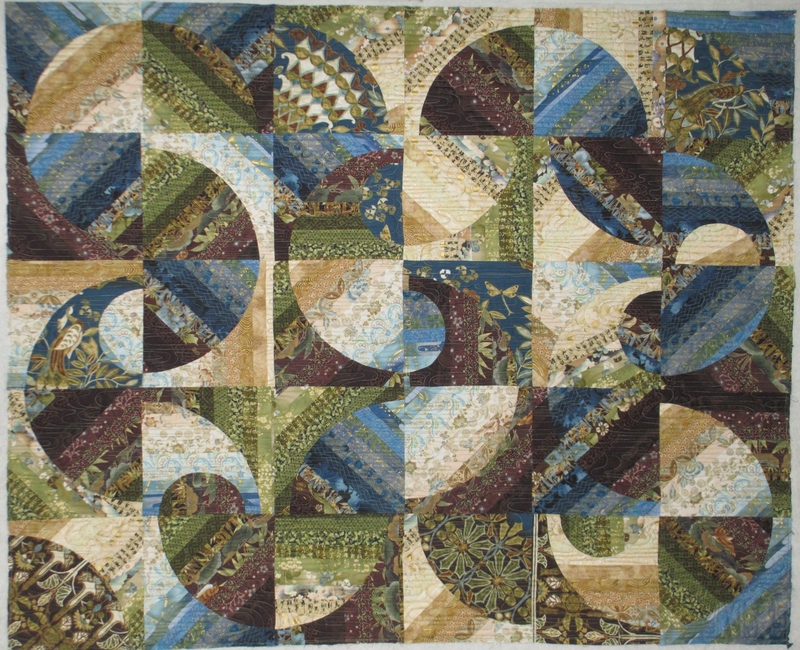 I really like how she combined the colors of blue, taupe, purple and green and then set a back-and-forth pattern into this quilt. 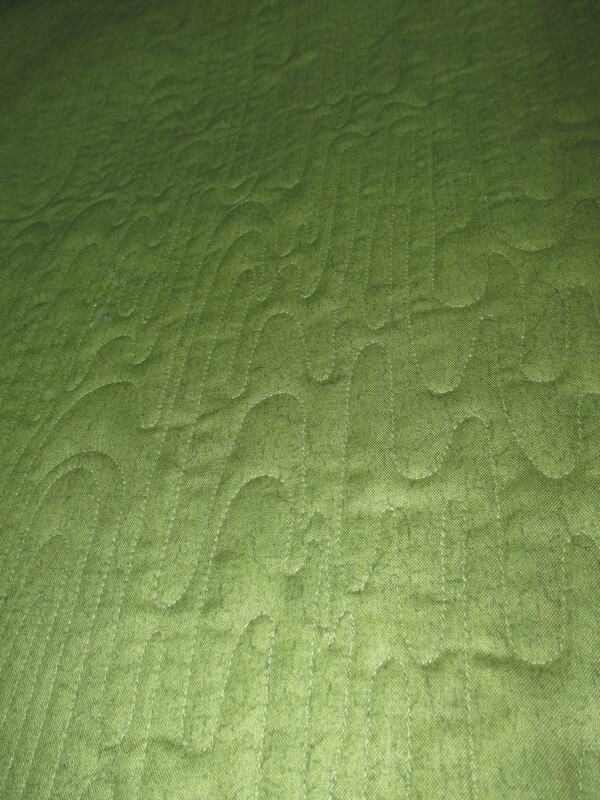 She also chose the perfect thread for this quilt, variegated blue and green. Not wanting to detract from the quilt design, we decided that it would be best to quilt an allover, edge-to-edge design on this quilt. I could have done some really cool custom quilting with Japanese symbols, etc., but it would have gotten lost in the quilt. So, we went with a smooth “water-look” design. It was close-knit quilting, but Margaret is planning on hanging this piece on the wall in her living room. 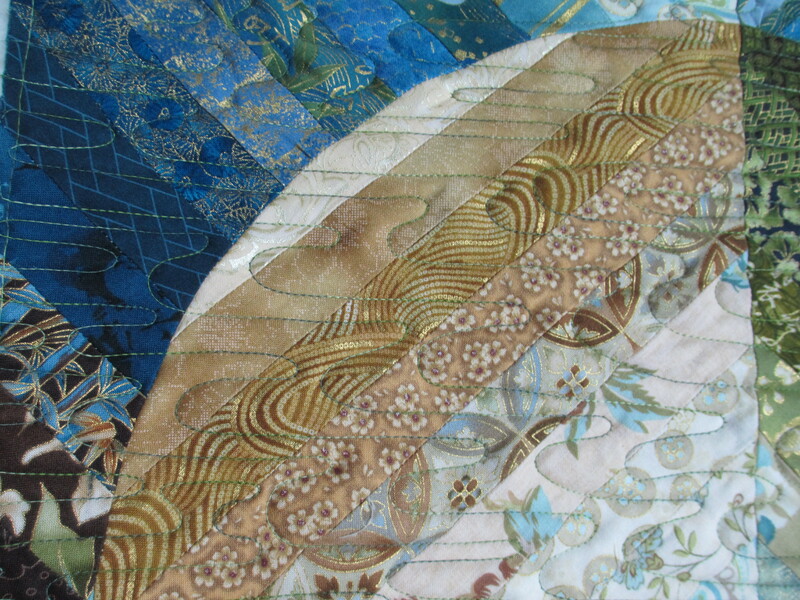 The extra stitching may stiffen it up a bit, but it will also stabilize the quilt blocks that are set diagonally.